If you’re looking to take a little luck o’ the Irish everywhere you go this St. Patrick’s Day, look no further! These funny printables from Shoebox will let everyone at the big parade know that you mean business. 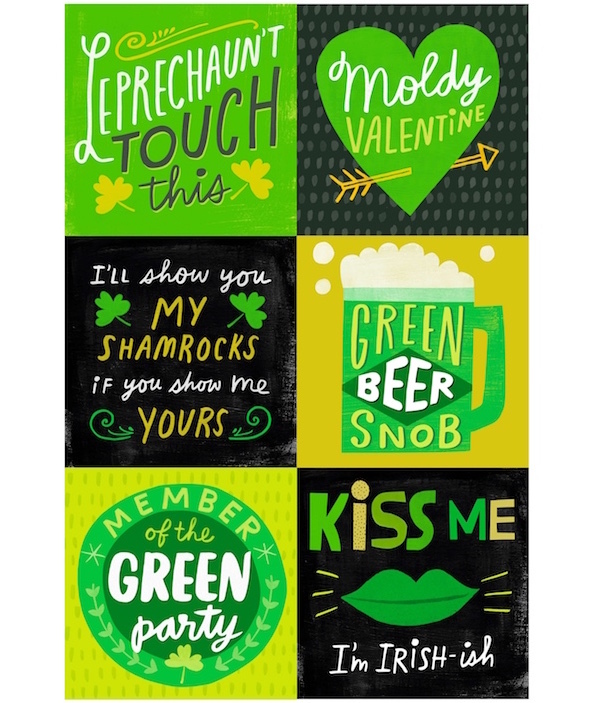 Even if you’re just a little Irish-ish, you can use them to declare your green beer snobbery at the bar or green up your St. Patty party (say that 5 times fast!) and even share a “moldy Valentine” with a friend. Just print ‘em, cut ‘em out, and celebrate your St. Patrick’s Day in style. Cheers! 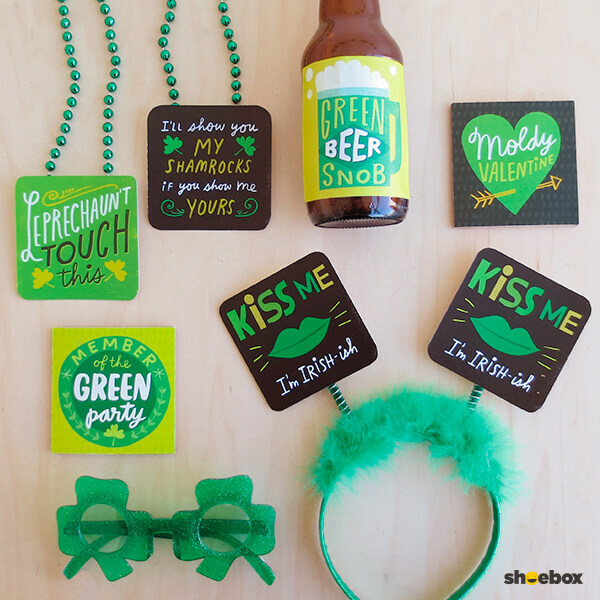 Click here to download the free St. Patrick’s Day printables from Shoebox. Shoebox is on Facebook, Instagram, Twitter, Tumblr and Pinterest, we’ll probably make you laugh.